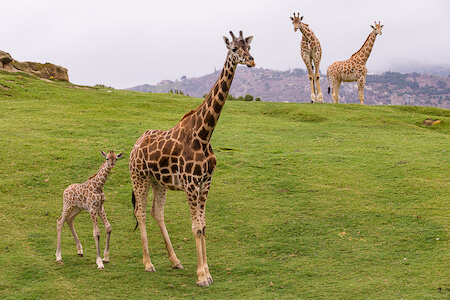 The San Diego Zoo Safari Park is unlike any other zoo experience, and we think your family will toadally love it. 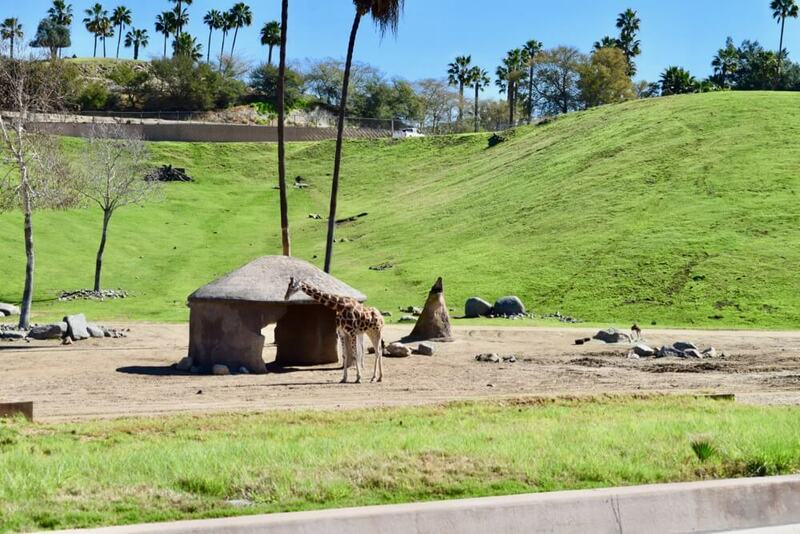 The Safari Park houses over 3,500 animals in large habitat areas. The animals are given plenty of stimulation and in many cases the opportunity to rub noses with many other species they might encounter in a natural environment. As you can imagine, creating an environment where the animals can roam and graze means spreading things out … a lot. So this 1,800-acre wildlife preserve and botanical garden offers a lot of adventure. 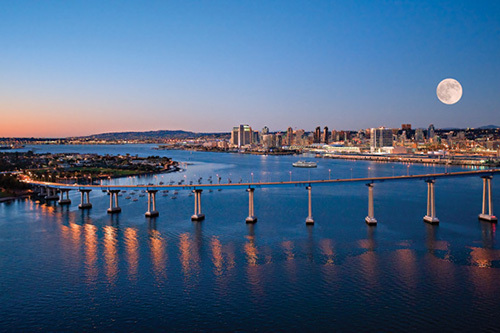 We're here with expert advice and great San Diego Zoo Safari Park tips. 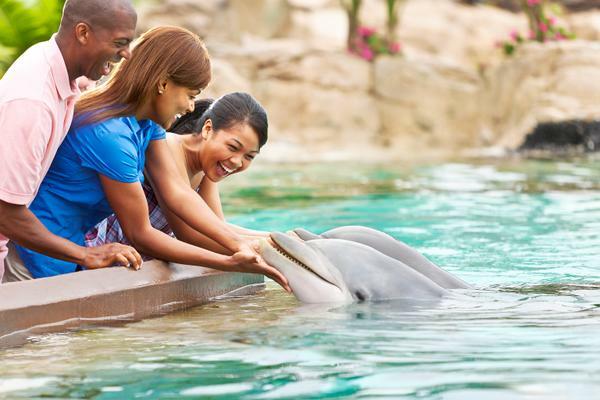 If you have high-energy, adventurous tadpoles that you often think belong in a zoo or dream of going on safari in Africa, then this is the right destination for your family vacation! The Safari Park used to be known as the Wild Animal Park. It changed names when it changed directions to allow more intimate animal encounters and adventure experiences that are kind of like going on a mini safari. 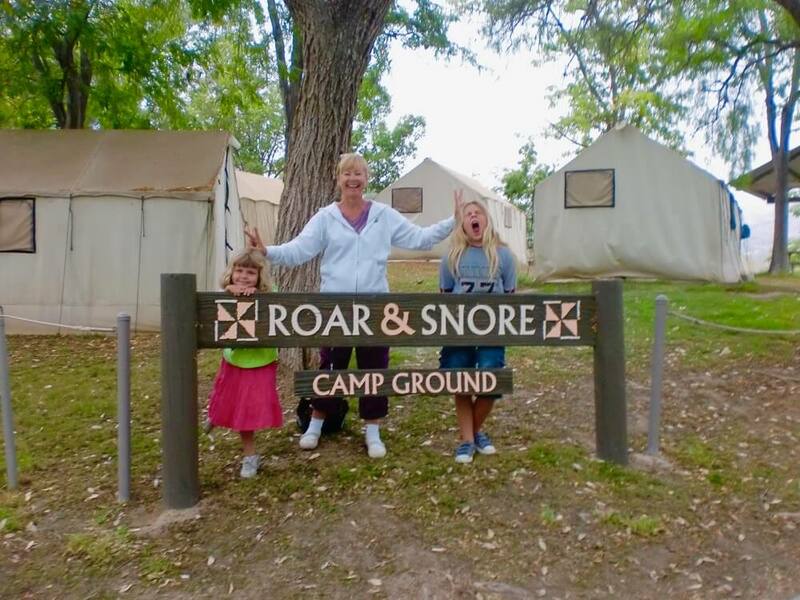 You can even camp out there between the elephants and lions for Roar & Snore! Other experiences include ziplining over animal enclosures, navigating the trees in a jungle ropes safari or getting a condor’s-eye view of the park from a giant balloon. There are a number of experiences that will get you up close and personal with the animals, and it is best to book those in advance. 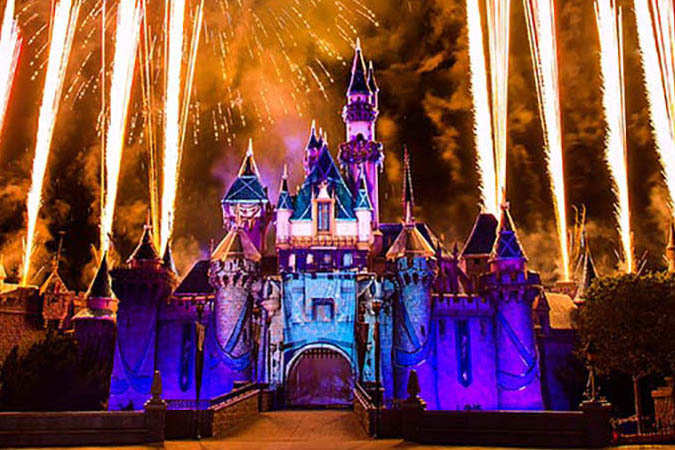 You’ll save money reserving in advance vs. purchasing in the park, plus you'll guarantee your spot. 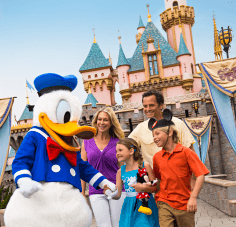 Many of these experiences have age restrictions, so keep those in mind as your search for the right experience for your family. There are 2-hour caravan safaris (to feed giraffes and meet Asian and African mammals and birds), a Cheetah safari and several 2-hour behind-the-scenes safaris that takes you to keeper-only areas. You can choose a tour to see elephants, Australian animals, tigers, cheetahs, lions or rhinos. Budding veterinarians might be interested in the tour of the veterinary medical center. The Ultimate Safari is a 5- to 8-hour customized tour that caters to your interests and includes a meal. 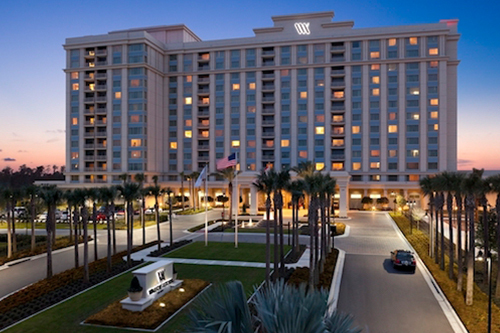 You’ll want to book early (a minimum of 72 hours in advance). Of course, you don’t have to embark on any of the safaris to have a great time. You can explore much of the park on foot, and if you do that you definitely don’t want to miss the free Africa Tram expedition, which is already included in your 1-day pass ticket. There are some other animal encounters that won’t take a bite out of your budget. 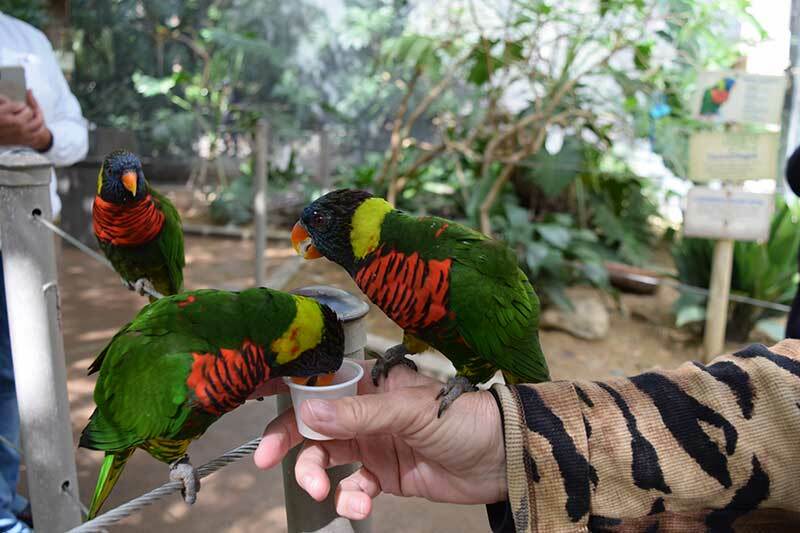 You can buy an inexpensive cup of nectar at Lorikeet Landing and make friends with a colorful lorikeet or two, who will be literally eating out of your hand. Stop by the Animal Ambassador Stage near the entrance to meet some animals or birds and hear from their keepers. Check the schedule for talks and animal encounters throughout the park. Pet and brush goats in the Petting Kraal and possibly pet some kangaroos or wallabies or their friendly geese friends in the open trails of the new Walkabout Australia exhibit. Whether you are going on safari or hopping about the park, you’ll need to dress for a workout. Prepare by wearing proper clothes and shoes for the type of adventure you want to embark on. Wear layers you can shed as the sun warms things up in the afternoon. Hiking shoes or good walking shoes are a necessity for exploring the park, which is very spread out and hilly. 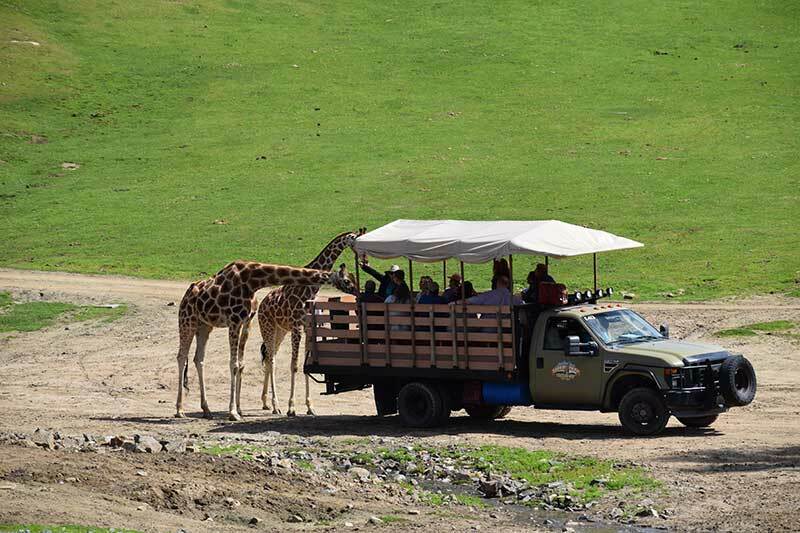 This is one of those San Diego Zoo Safari Park tips we can't stress enough! You’ll toadally rack up some steps on your Fitbit. (I will NOT lose my ranking on the leaderboard. Never!) Despite all of the walking, the park is very kid-friendly. There are multiple playgrounds, a lot of shady spots, fun photo opportunities for tadpoles and limitless chances to hop, skip, jump and climb around the park. Of course, getting to observe and learn about animals throughout the park is why you are going there in the first place. 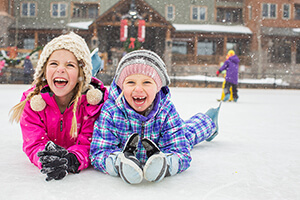 You do not always have control over your free days and vacation time, but if you plan to visit during a week in the winter vs. on a holiday, you will find cheaper prices on entertainment, as well as some safaris and services in the park. 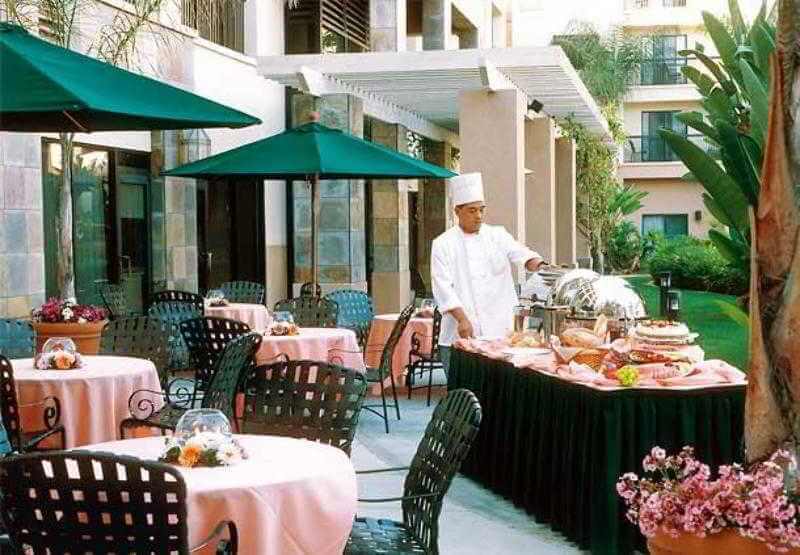 You will enjoy smaller crowds, shorter lines and have a more relaxed experienced. If you are finding long waits, you can pay an additional fee to skip the line on the Africa Tram. You can also check out the single rider/couple line if you do not have children with you. We are early frogs because we enjoy zoos and amusement parks in the cool mornings ahead of the crowds. You’ll get the most from your day if you arrive at opening and make your way into the heart of the park to see the animals before the masses arrive and enjoy a shorter line for the Africa Tram or other activities. Welcome to the jungle! It is a bit overwhelming when you enter the Safari Park. You won’t immediately see animals in cages or signs directing you to them, and you might wonder where they are and even how to begin finding them. It is good to enter with a plan in place and tours or adventures reserved to set a framework for your day. At least arrive having an idea of all the park has to offer so you don’t leave wishing you had known about an experience. The zoo is set up in regions with named loops and trails, and the animals are in the various regions. Pick up a park map near the entrance. You’ll notice that there are numbers (in orange) on the map. Using those numbers will be tremendously helpful in finding your way around the park, along with the trails. Think of the numbers as checkpoints. They can help you determine where to turn on to a new trail and assure you that you are indeed still on the correct path to your destination. There are many helpful guides along the way to help you find a trail or animal. One even took out a highlighter and drew a path on our map! At point number 1 on the map, there is a Park Information booth where they can start you out on the right foot. 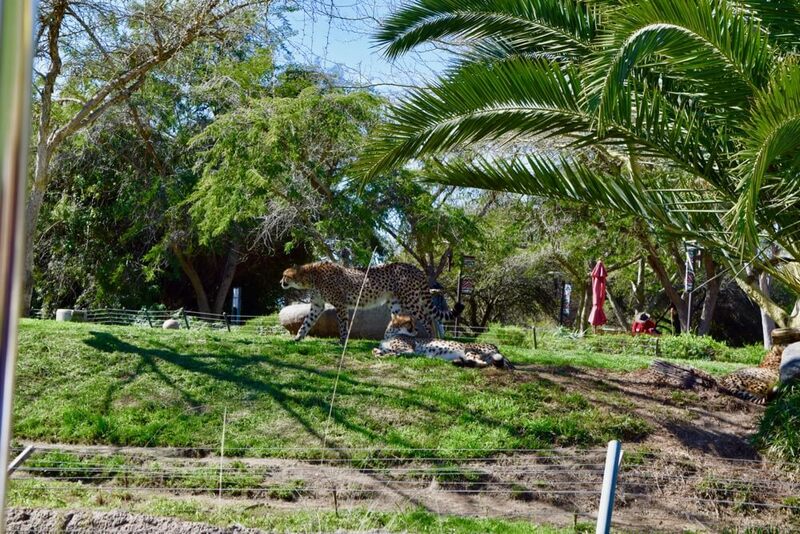 You will also want to note show times for Shiley's Cheetah Run and the many animal encounter and keeper talks, which can teach you many interesting facts about the animals. The keepers can answer your questions and often tell you a lot about the individual animals. If you are not planning to take any safaris, then you’ll definitely want to take the Africa Tram. On busy days, we recommend heading here early because the line builds (it's usually busiest from 11 a.m. to 3 p.m. ). The first tram may leave about an hour after park opening. Along the way to the tram loading (in African Outpost) you can visit the elephants and lions — we hopped by the lorikeets first to feed them a quick treat before hopping down the African Plains Trail. 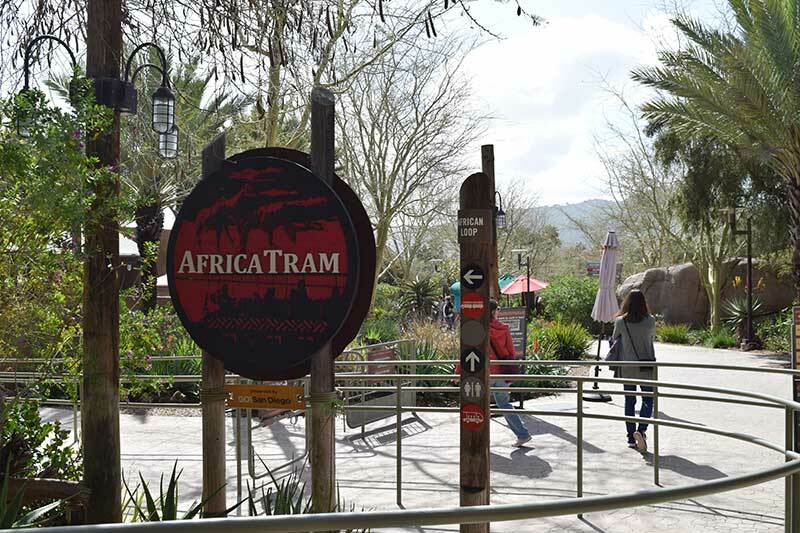 If you are visiting during a peak time, you can reserve a place in line for the Africa Tram (for an additional fee) once you are in the park. But if you arrive early, you should have no problem getting on the tram quickly. Arrive at park opening. Take the Nairobi Walk to to Lorikeet Landing to feed the birds. 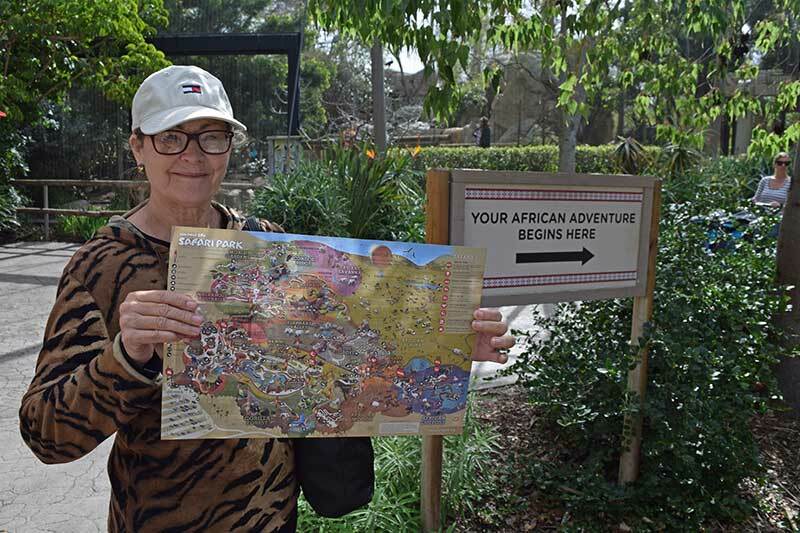 Then, hop on the African Plains Trail (stopping to enjoy Elephant Valley and Lion Camp along the way) to the African Loop to the Africa Tram (you’ll see signs for Africa Tram along the way). After riding the tram, follow the African Loop to the elevators that take you up to Africa Walk. Do the Lemur Walk, then eat lunch and let the tadpoles play at the shady Samburu Jungle Gym. Once they've had their fill, follow Gorilla Trail to Lagoon Loop. Prepare to climb a bit, but it’s worth it! 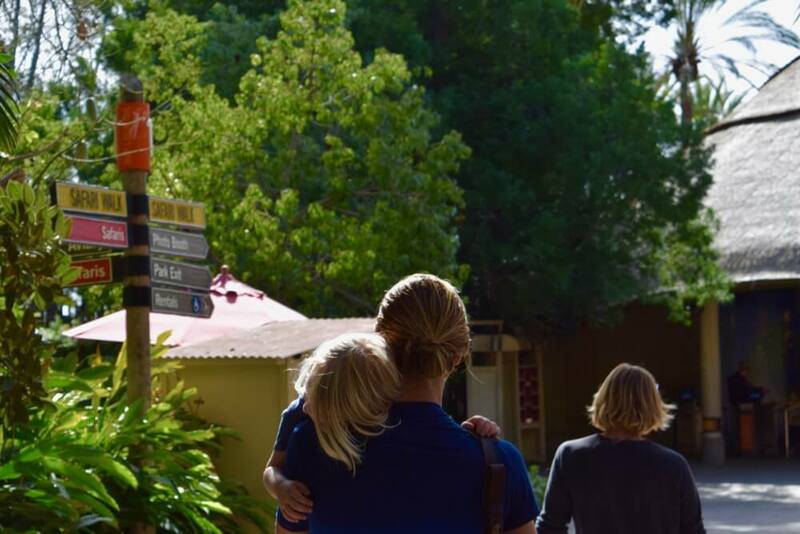 Take the Safari Walk toward Walkabout Australia (to the left) and Tiger Trail (to the right). 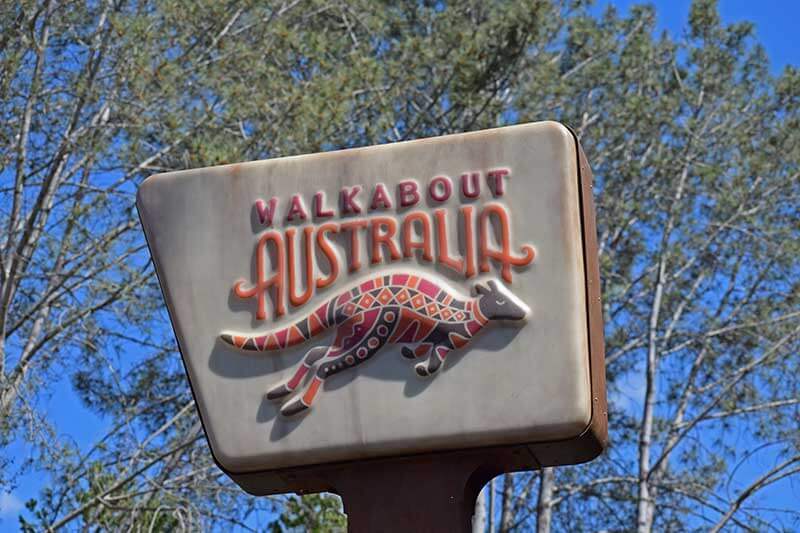 Walkabout Australia is an exciting exhibit because the Kangaroo Walk allows you to walk through the animal enclosure with almost no fences. 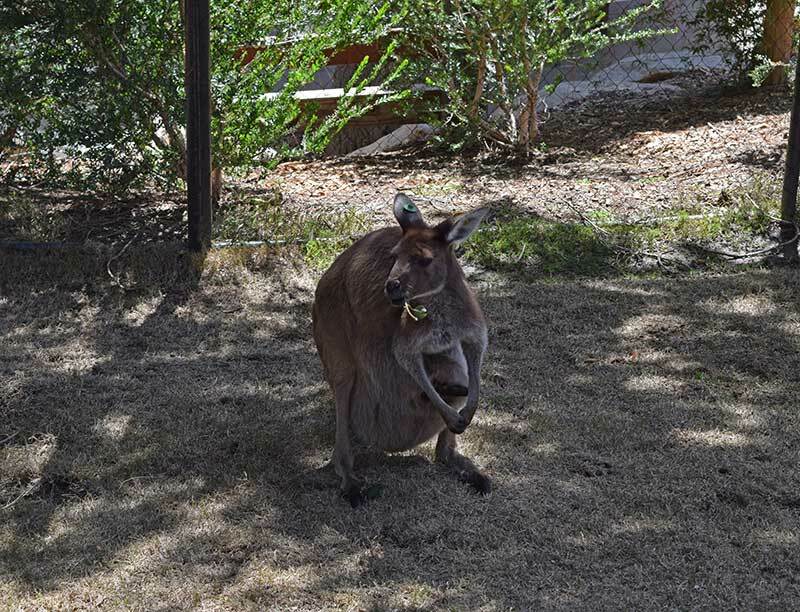 You have to stay on the path, but if a kangaroo or wallaby hops near you, you can pet them! Every tadpole in the place was hopping with excitement to see a joey popping in and out of Mama’s pouch to nibble some leaves and hide again. 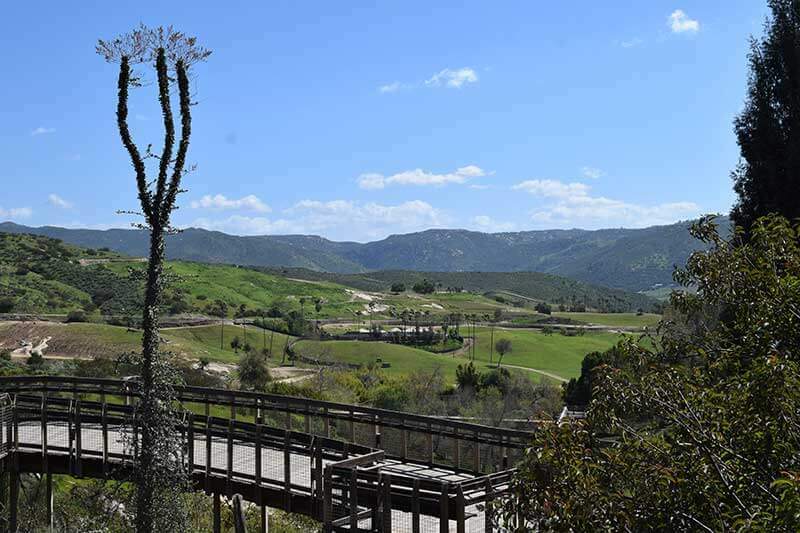 Then, follow the path up towards World Gardens and Condor Ridge, where you will be treated to expansive views (of animals, birds and the Safari Park spread out below) with breezes, shade and benches. You might want to rest a moment. On the way back down, take the path to Tiger Trail, making sure to stop and enjoy the playground before visiting the tigers. 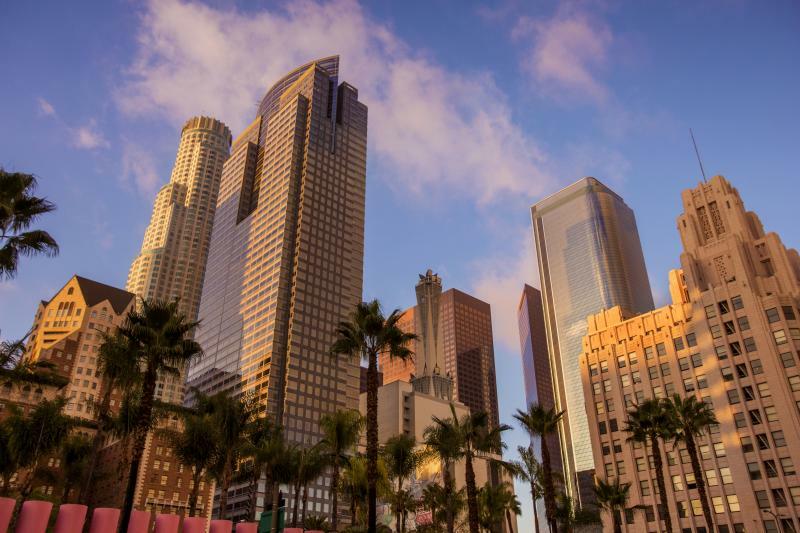 You’ll end close to the park exit for snacks or shopping before you have to say goodbye. That route will take you through almost the entire Safari Park and its residents, except for some areas that can only be reached by, well, a safari. You can see shows, listen to keeper talks and enjoy animal encounters along the way. If you see a show or talk that interests you on the entertainment guide, you can modify your plan to attend. Keep in mind that nothing is close to anything else, so try to see everything you want to see in an area before moving on. There will be a lot of walking, so try to choose a path that will take you near a show around showtime. There are multiple playgrounds and shady areas to rest. 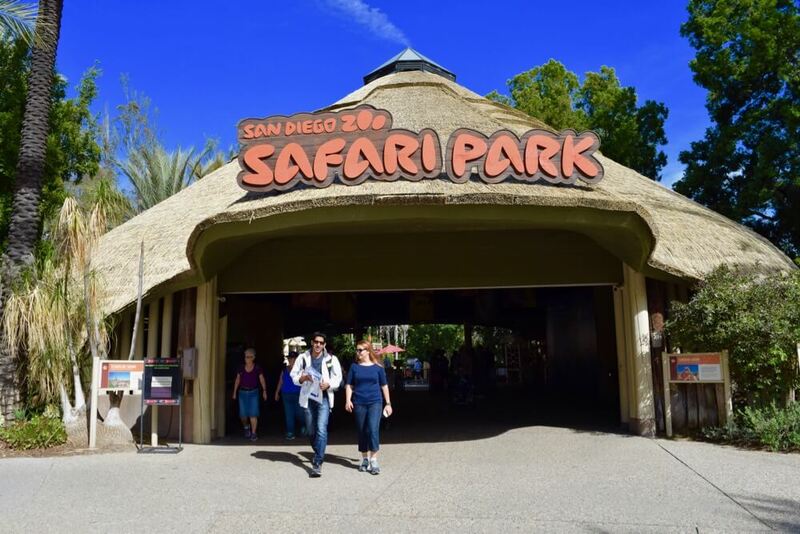 Just like an expedition into the wilds, you will need to take some provisions with you to the San Diego Zoo Safari Park. That may include a jogging stroller, sunscreen, hats, sunglasses, water (it is often hot and very dry out there) and snacks. Pack swimsuits for the tadpoles because there is a small water play Cool Zone, and they might want to visit the old watering hole to cool off. They rent single and double strollers in the park. 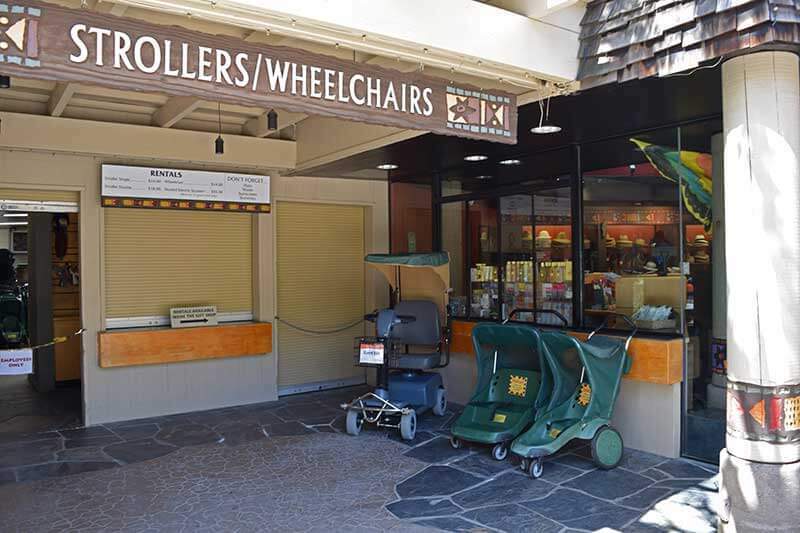 If you need a private area to nurse a baby, the Ranger Station behind the carousel has a room for nursing mothers, but there are also many shady benches around the Safari Park where you can feed your baby if you are not in that area when baby needs to eat. If someone in your party has mobility challenges, there are elevators and a courtesy shuttle that accesses the African Outpost. 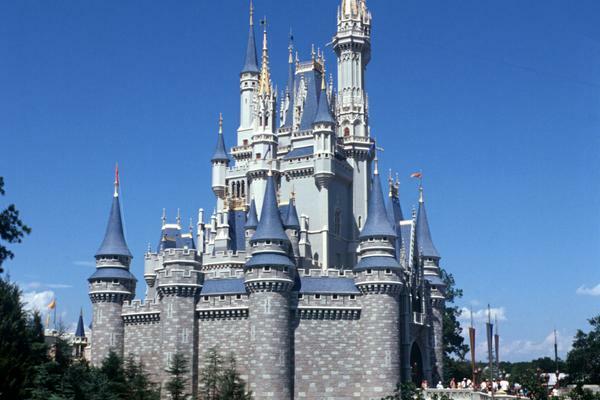 There are Easy Access Passes for guests unable to wait in regular lines. You can obtain them at Safari Ticket Booths. The park rents wheelchairs. If someone in your party cannot walk long distances, renting a wheelchair or motorized scooter (shaded!) is highly recommended — the paths are wide and accessible for the most part. Follow the dotted trails for the most accessible route. 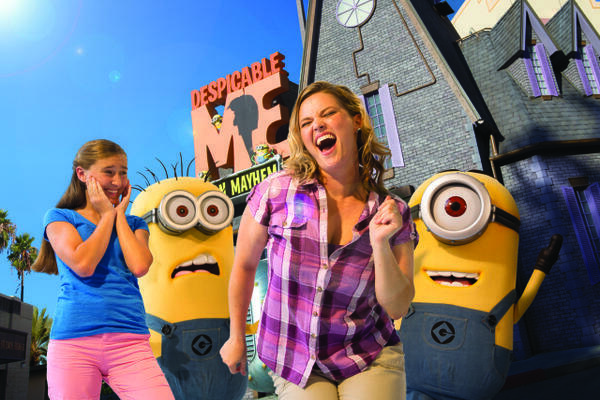 There are many ways to enjoy the San Diego Zoo Safari Park. 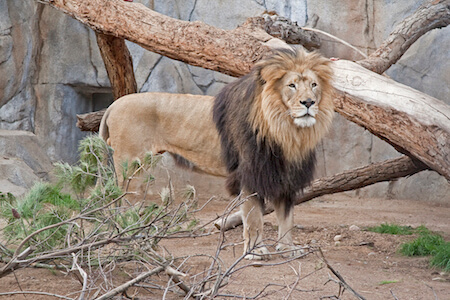 We hope you find these San Diego Zoo Safari Park tips hopful! Whether you choose to do it on your own or to embark on a safari or other adventure, if you dress well, wear comfortable shoes and stay hydrated, you will have an unforgettable day in a zoo like no other. Have you ever hung out with the wild animals at this amazing animal park? 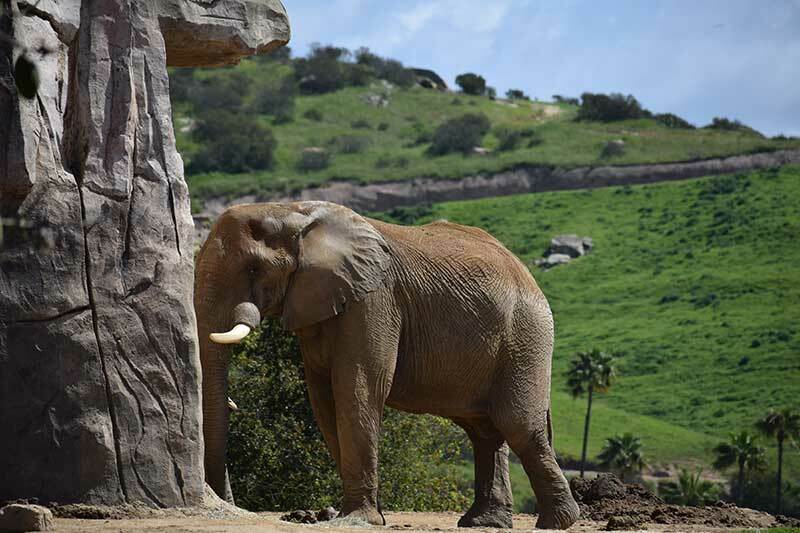 Do you have any San Diego Zoo Safari Park tips to share? Let us know in the comments below. 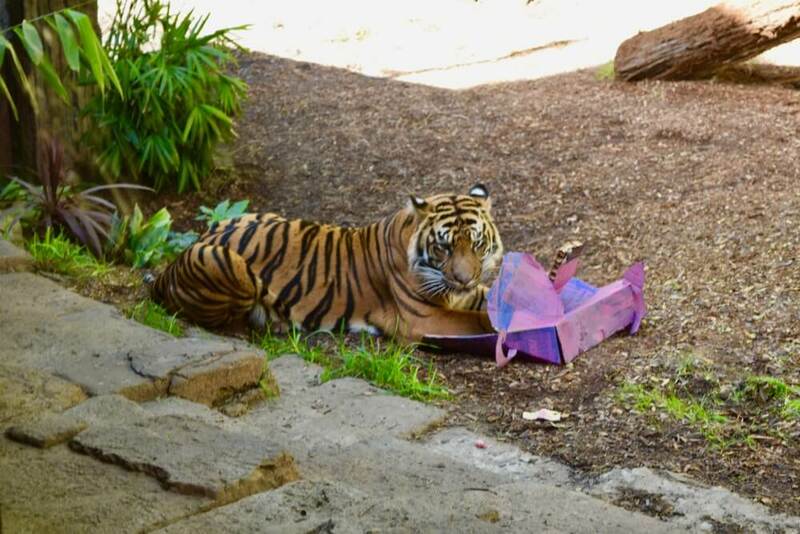 Ask staff who know where tigers are. Otherwise a frustrating search.